This week’s correspondents ask about natural selection and models for the time fossils take to form. CMI’s Dr Jonathan Sarfati and Dr Tas Walker show how biblical principles can help point us in the right direction on these issues. was truly a blessed timing from God, he said this in regard to a part of your article. “mutation n genetic drift often decreases genetic information-but NATURAL, SEXUAL AND KIN SELECTIONS VIA SPECIATION INCREASES IT, AS DOES Adaptation. can you give me a hand here please. Thank you for asking. All the same, I would advise against wasting too much time on debate sites like this, since many opponents bring up the same tired old canards. The time would be well spent becoming thoroughly familiar with our articles. Don’t expect one article to cover everything. For example, don’t expect one article to cover everything. The article cited was mainly about the importance of the book of Genesis as the roots of Christian doctrines, so it can’t be expected to cover natural selection in detail. 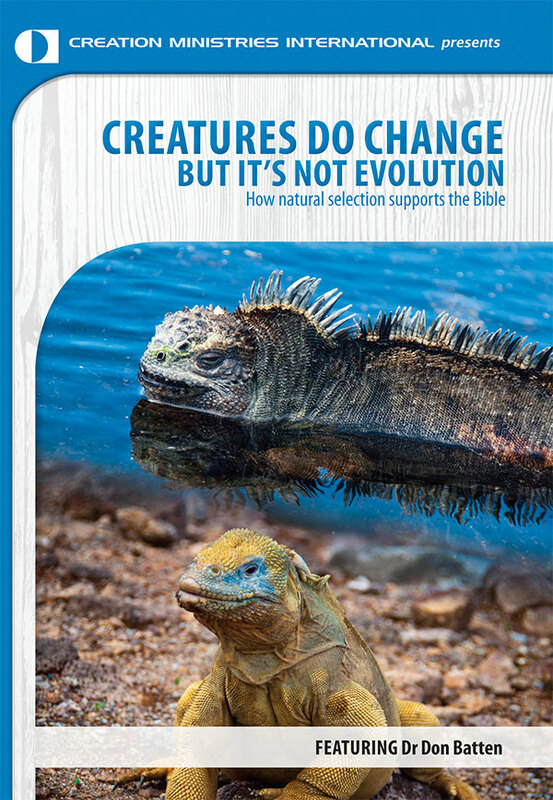 We have many articles on natural selection, and it would likewise be unreasonable for them to answer, ‘why does evolution v creation matter anyway?’ We do have some major articles that cover lots of ground such as Science, Creation and Evolutionism, Who’s really pushing ‘bad science’? and Church of England apologises to Darwin, but even they can’t possibly do everything. Let him provide a specific example of his claim, but meanwhile give him articles like Muddy Waters: Clarifying the confusion about natural selection. As for sexual selection, this is a reality, but not the claimed increase in genetic information. Furthermore, it’s embarrassing for evolutionists that it fails for the peacock tail—exactly what Darwin invented the theory to explain Peacock tail tale failure. I wonder…since fossilization has been shown to be such a rare event, has anyone ever taken present-day fossilization rates and figured out mathematically how long it would have taken for the fossil record we have now to have formed? Since fossils are a worldwide presence, perhaps there wouldn’t have been enough time for all of these fossils to have formed at present day rates and this potential evidence might be used to argue against the neo-Darwinian synthesis. Fossilization provides much strong evidence for rapid geologic processes. I’m not aware of anyone doing such a project. I would think that there would be so many variables involved that it would be difficult to argue a watertight case. But all such estimates for the age of things are based on assumptions about the past and the argument generally degenerates into the details of unobserved, unprovable past conditions. But that does not mean it is not worth having a look at. Things such as polystrate trees, well preserved large animals, well preserved soft animals such as jelly fish, well preserved soft parts of animals, marine animals fossilized in the process of giving birth, fish fossilized while swallowing another fish, etc.